What you may be surprised to know that regular exercise is as equally important towards improving your prostate health as it towards maintaining your ideal weight and physique. 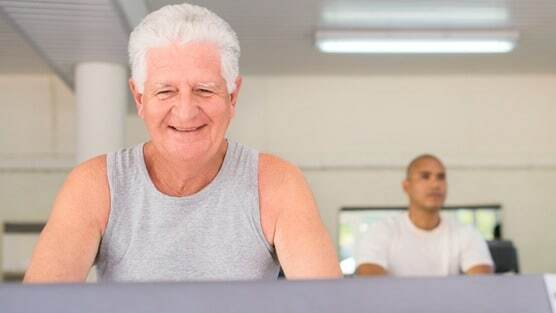 According to a relatively small group of studies, it has been shown there exists a correlation between regular exercise and the prevention of prostate related issues. Regular physical activity can protect against several prostate related issues including but not limited to: prostate cancer, prostatitis and benign prostatic hyperplasia (BPH). In particular the specific types of exercises shown to greatly improve prostate health are resistance and aerobics training. As men age their prostate will gradually increase in size and if left unchecked can increase your risk of developing prostate related illnesses. So let’s take a look at what exercise can do for your prostate health. In a study which was published in Harvard Health, researchers in Italy discovered that men who engaged in physical activity 5 or more hours a week were up to 50 percent less likely to develop BPH, in contrast to those participants who engaged in 2 hours or less of physical activity. A similar study collaboratively done by both the Harvard School of Public Health and the University of California, San Francisco over the course of 18 years found that participants in their study who engaged in 3 or more hours of exercise were 61 percent less likely to die from prostate cancer. It was their belief that their increase in physical activity caused a reduction in testosterone which in turn minimized the growth of the prostate gland. Of course making the time to work-out isn’t the only way to improve prostate health. An increase in overall physical movement can work a long way as a more recent study has indicated. In the study it was found that men with more physically intensive careers were less likely to develop BPH or enlargement of the prostate. Clearly just from these examples alone research has begun to paint a clear picture as to the benefits of exercise on the prostate gland. Bodyweight exercise (Calisthenics) –This includes; push-ups, crunches, squats, sit-ups, burpees and lunges are just a few examples and can be done in the comfort of your own home. Exercise no more than 30 minutes a day a few days a week is more than adequate to make a substantial difference in your overall physical and prostate health. As always please consult with your doctor before starting a workout regimen. This is especially true for those who haven’t engaged in any kind of physical activity in quite some time. Also work with your doctor to determine which types of exercises are both suitable for your current age and level of physical health.